The brief was simple - I want a tropical garden that can blend in with my already establish English garden and need a fence to keep my dog in that will not be an eye sore but instead be a feature. Well Branche exceeded my expectations! Arnaud is an extremely good listener and therefore all of my requests were met and due to his experience and design flair, he was able to provide recommendations prior to the project. During the entire project, Arnaud kept us up to date on the progress and any additional costs if any. Branche cares and will only use quality plants and products as their name is at stake! 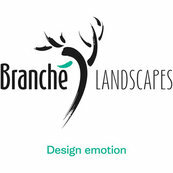 My garden is now very well established and therefore i am 100% happy to recommend Branche Landscape, Arnaud and his team. They listen to your needs and are reliable, dedicated, trust worthy and deliver on time at the agreed price! So thanks you again Branche on an job well done!